Drivers trying to get over or making a turn without any indication can cause a lot of accidents. 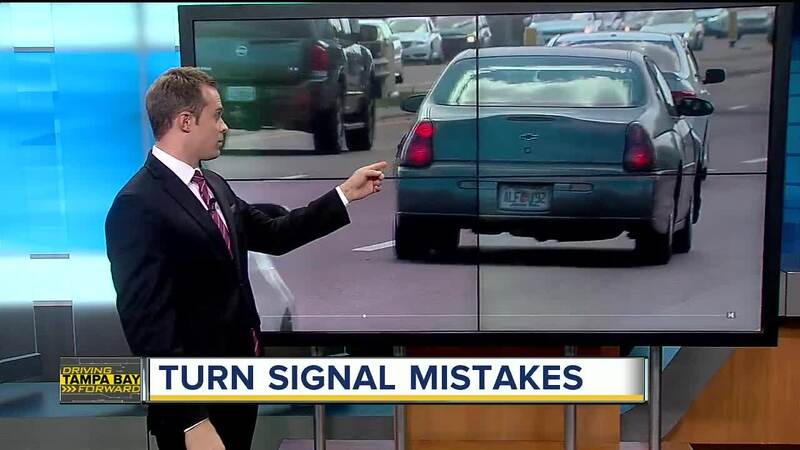 It is one of the biggest complaints that we get, drivers need to use turn signals. As part of our commitment to Drive Tampa Bay Forward, we are showing you some of the most dangerous mistakes drivers are making on the road. We know you have seen it. Drivers trying to get over or make a turn without any indication. It may seem minor but this can cause a lot of accidents. Plus, it is required by Florida state law . You have to signal at least 100 feet prior to your turn. That is roughly six car lengths. Officers can hand drivers a non-moving violation ticket which can cost you about $116.